Upcycle has some awesome ideas on how to sandblast your recycled glass using sandblasting as a medium and creating many different, yet beautiful glass pieces for around your home, restaurant or office. Recycling is certainly becoming part of our daily lives, finally and much emphasis is placed on recycling glass bottles, jars and containers. 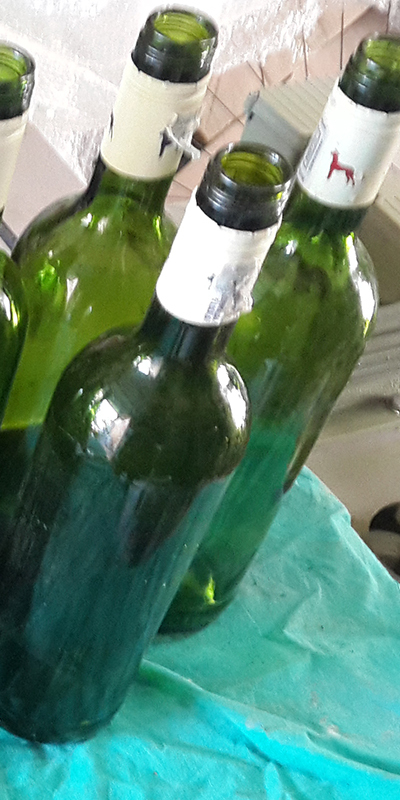 Whilst some bottles have a monetary value, most unfortunately don’t, except for the measly offerings paid out to those green enough to take their glasses to recycling companies. Due to the lack of incentive for restaurant owners, Upcycle has approached several establishments to set up collection systems for all their used bottles. With literally hundreds of bottles, in all shapes and sizes, glass containers and jars included, Upcycle came up with many different possibilities of creating beautiful upcycled pieces. These pieces have been made that much more dramatic using sandblasting as a medium to decorate them. We have literally made some of the most incredible items, one of the most popular being a tumblers. After cutting the bottle neck and part of the body to the desired height of your tumbler, a simply process, you can then grind the glass and bevel the rim to ensure a smooth drinking surface. 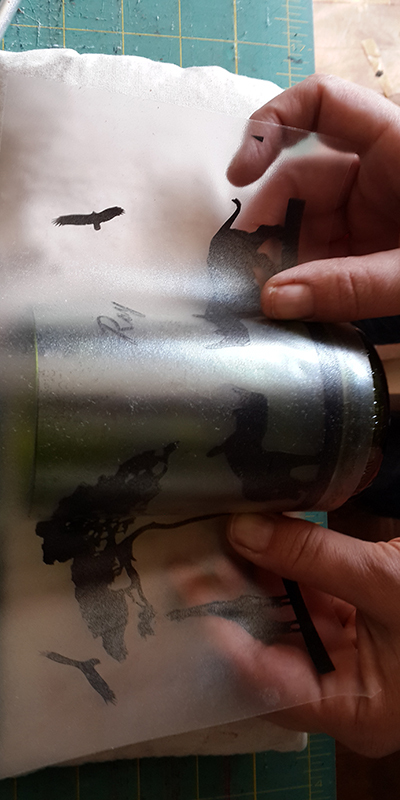 Once the glasses are done, the use of a high detailed graphic vinyl cut out, or a multiple use steel stencil or hand cut vinyl can create the most incredible details on the glass once sandblasted. This is the perfect way to advertise your business by simply sandblasting a logo onto the tumbler. An awesome idea for restaurants or canteens or even for private use, especially when celebrating a special birthday, a wedding or an anniversary. 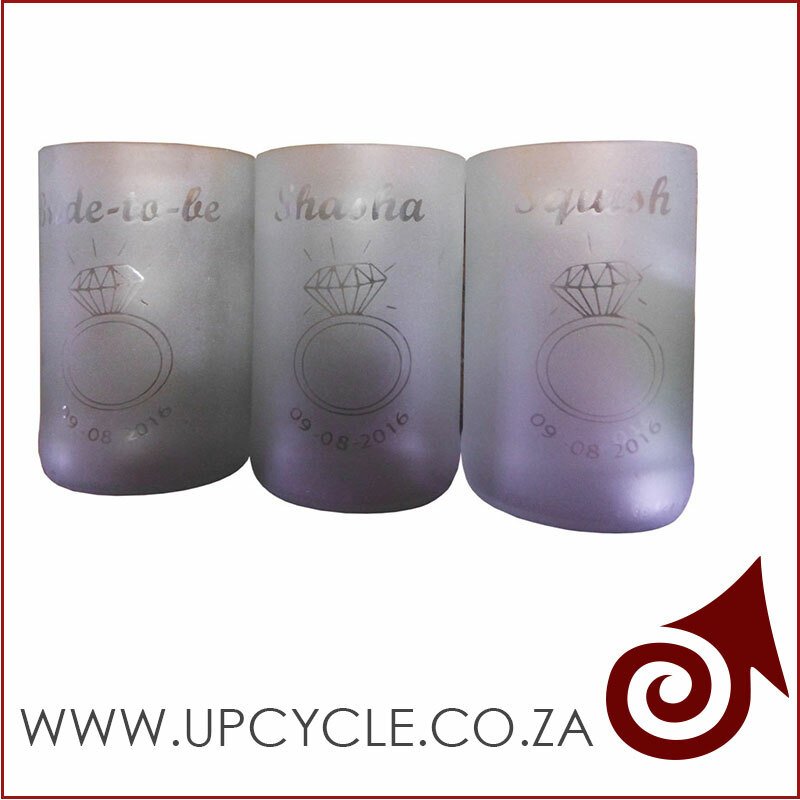 These glasses were sandblasted for a wedding for the bride to be. 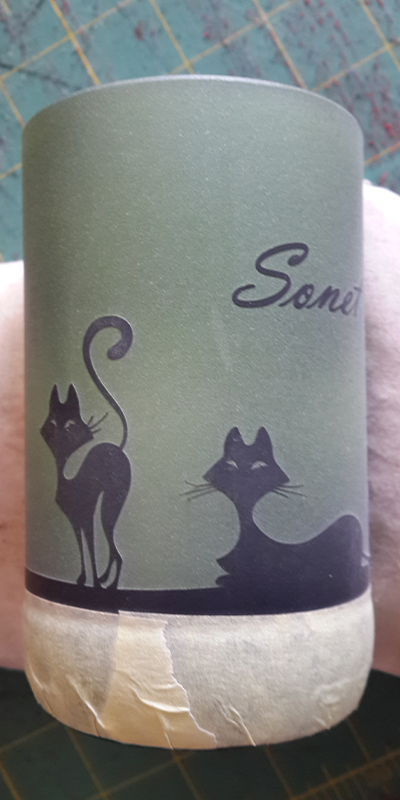 The top of the wine bottles can be used to create the most adorable tea-light candle holders or simple candle holders but add sandblasting, and you create some of the most amazing decorative lights. 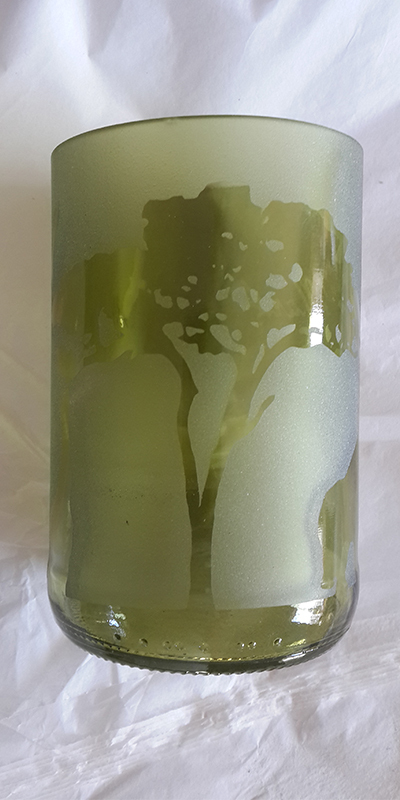 Moreover your can simply sandblast wine bottles with creative designs and turn the bottles into the most incredible chandeliers, or simpler light fittings. It’s an incredible idea to sandblast clear jars or bottles when making light fittings, because we all know the brightness of the globe shining through a clear glass is simply too bright. The sandblasting dulls the brightness but can also create the most awesome light and shadows. The same applies to glass jars and containers, old Nescafe bottles, old Mayonnaise jars, any old glass container can be sandblasted and converted into new and improved, decorative containers for around the house, office or restaurant. Glass jars can be sandblasted and used as planters around the house or garden. Glass bottles can be cut and sandblasted into the most awesome vases. As you can see the ideas are limitless and with sandblasting, the creative effect of the glass is simply taken to a new level. Upcycle think it’s an incredible way to re-use old glass bottles, containers and jars and who wouldn’t want a personalised set of six tumblers as a gift. Make your wedding that much more memorable by having Mr & Mrs X sandblasted on all the glasses at the table. Companies having conferences could have their logos on tumblers for service during their lunch breaks or drinks after. Celebrate a 21st with decorative lights in the venue with 21 sandblasted on them. 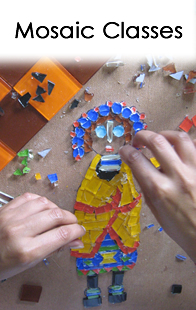 The ideas are endless and Upcycle is ready to create and sandblast all your glass needs. We do have our sandblasting setup at our offices and unfortunately we don’t have our mobile sandblasting unit yet.  We currently handle any item 40cm x 40cm. If you feel creative and think you can handle the process of sandblasting and glass-cutting on your own, please refer to our step by step guide for more information.